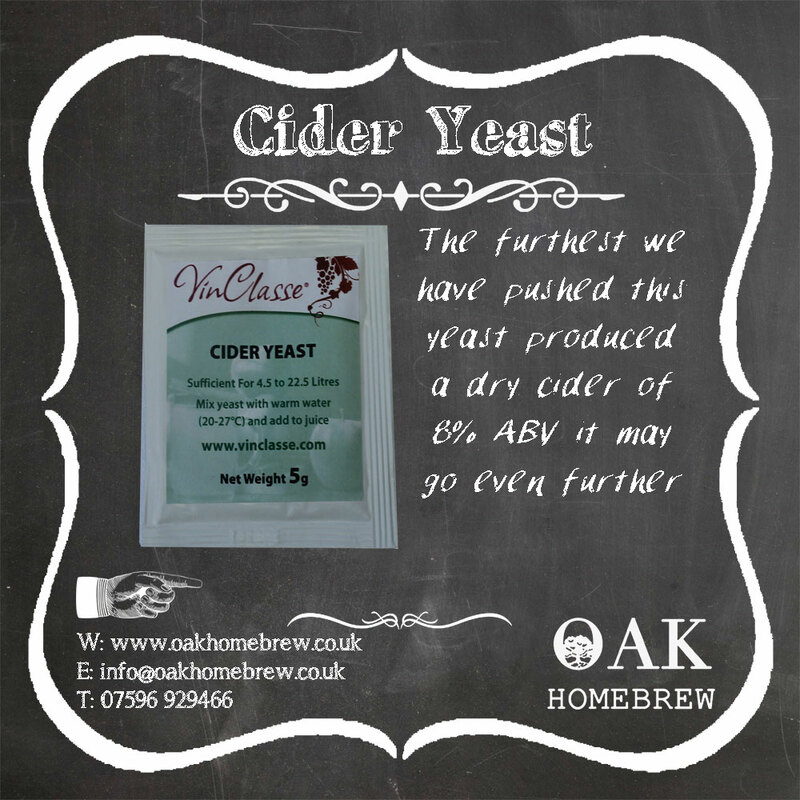 Cider yeast perfect for those summery drinks! and any time of the year. Ideal for apple or pear ciders. Sufficient for 23lLitre \/ 5 gallons. Sufficient for 23lLitre / 5 gallons. Mix yeast with warm water (20-27°C) & add simply sprinkle on.